You’ve all asked for it and it’s finally here! We finally finished it! Sorry for the crappy credits, we wanted to get it out to you guys as soon as possible. And guess what! You can actually hear it this time! 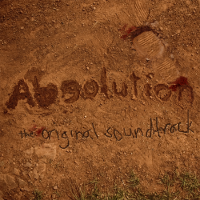 Absolution Season 2: The Movie from Wish House Productions on Vimeo. This entry was posted on Thursday, April 1st, 2010 at 1:21 pm by Peter Freeman and is filed under Season 2. You can follow any responses to this entry through the RSS 2.0 feed. You can leave a response, or trackback from your own site. Here it is! The first Absolution Season 2 Podcast. The next one’s gonna be coming out a lot sooner, because we have a lot to talk about! But for now, here it is: Season 2 – Episode 1. This entry was posted on Saturday, July 18th, 2009 at 11:14 pm by Nathan and is filed under Season 2. You can follow any responses to this entry through the RSS 2.0 feed. You can leave a response, or trackback from your own site. Hey guys, as I said in a previous post, we would be doing some sort of blog. While it isn’t daily (we’ve realized that this is impossible), there will be sporadic posts about filming. At the moment though you might be wondering how I had time to write this in the middle of a day of filming. Well, the answer is simple: I’m not filming. I’m currently home because I lost my voice (which is also why there was no podcast last night) and I had a few things at home to take care of, but I resume duties tomorrow. So, on to the first day. There’s been a change in the way we do things since season one, in the sense that we’re actually organized… to a degree. But Steven Rice, our Director of Photography, was also our schedule manager and put together which scenes we’re going to be filming each day based on location and people’s availability. So, we started around 4:00 PM, everyone arrived an hour earlier and we needed time to set up and everything, but finally we broke the first shot with both Teddy McCormick and Lauren Bahr on the porch. From there we continued to film all day at Teddy’s house (or James’ house) for both episodes 1 and 2 of season 2. It went pretty smoothly, all things considered, but we did hit a major snag once, but thankfully we were able to overcome that one, at least, enough to continue filming anyways. Now on to Day Two. Day two was at the McFarlands Church (the exact name of which escapes at the moment). We also had a ton of extras because we needed to do a bunch of crowd scenes, and also some infected scenes. Surprisingly though, when it came time, it was really easy to go around and direct all of the extras on where to move, how to sit, act, etc. Today was also first day for our season two cast. Yesterday had been entirely of our original cast (the members that were present at least), so this was interesting time as none of them had acted as their characters before. In the end though, they all did really well and it was fun watching new actors come in for season two. The infected scenes were pretty good too, though they took awhile because they were action scenes and those definitely take a lot more work. We were also running out of daylight and we still had scenes to shoot with some guards and Charlie. Thankfully we got it all done in time though. Well, that’s it so far. I’m hoping to get some pictures soon and once I do I’ll be sure to post them. This entry was posted on Wednesday, July 15th, 2009 at 3:20 pm by Peter Freeman and is filed under Season 2. You can follow any responses to this entry through the RSS 2.0 feed. You can leave a response, or trackback from your own site.